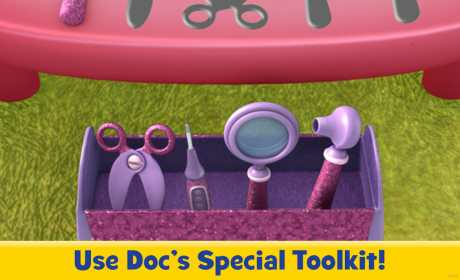 In the Doc McStuffins Appisode featuring “Rescue Ronda, Ready for Takeoff and a Bad Case of the Pricklethorns” preschoolers experience the magic of watching, playing, and interacting directly with their favorite Disney Junior TV show in a whole new way! 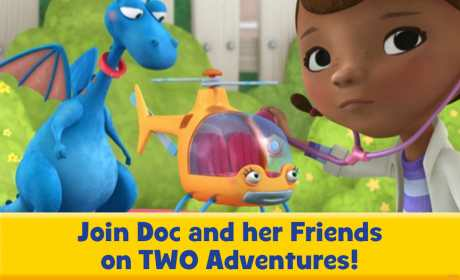 In this pair of Doc McStuffins adventures you’ll help rescue a rescue helicopter and you’ll help Boppy get over a bad case of the pricklethorns. • Fly Ronda over the McStuffins backyard! • Diagnose the toys and make repairs! • Bring the toys to life and help them go stuffed!